Every year, Hope for Haiti Foundation has two “tentpole” events. These are our largest fundraisers and help us continue changing lives in Haiti. 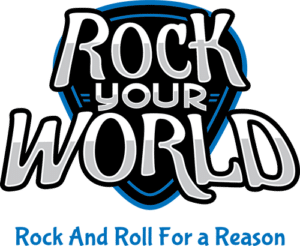 Our annual concert fundraiser is sure to “Rock Your World”! This live music event always has good bands, good food, and good times. There are many ways to be involved in one of our biggest fundraisers of the year. You can buy a ticket and enjoy the event, consider a sponsorship, donate to the raffles & auctions, or volunteer. The annual Haiti Golf Classic (Captain’s Choice) tournament is always a fun event for anyone involved, and more importantly, it is one of our largest fundraisers each year. Everyone can join – individuals, teams, companies, businesses…you! It’s simple. By sponsoring, playing, volunteering, or donating for this event, you will be helping raise money so that Hope for Haiti Foundation can continue to provide medical, educational, spiritual and community support in the village of Zorangé, Haiti and the rest of the southeast region. Hope for Haiti Foundation (HFHF), is a 501(c)(3) nonprofit organization incorporated in North Carolina and a licensed Haiti NGO, with volunteers in the United States and Haiti.